Listen Weights - What's Holding You Back ? Rhythms The 4 G's - Gather - Grow - Go - Give Gospel Identity The King Has Come Soul Repair Hope In A Hurting World Get The Word Out !!! Weights - What's Holding You Back ? Get The Word Out !!! We use the bible a lot at New Life Church. We are people of the book. We believe that the bible has incredible wisdom and stories, but most of all, it is a single narrative that points to Jesus. Below, you’ll find some helpful tools to read the bible for yourself. For those who are more of an audible and visual learner, these guys are doing fantastic work on explaining what the Bible is and how to read it as a story that points to Jesus. Check them out below. The Read Scripture app is a great way to get started reading the Bible right now. It’s available on all devices. It features a reading plan that is integrated with video to help you understand more about what you are reading. 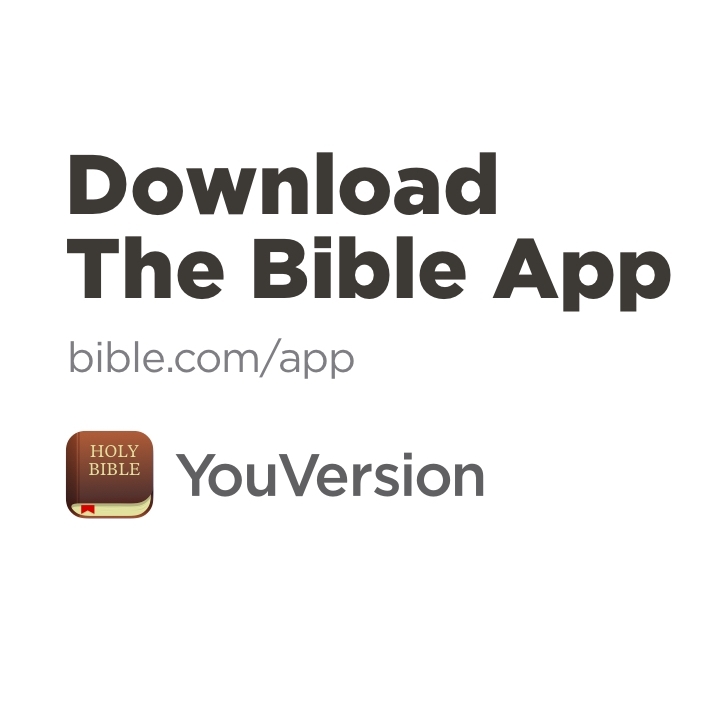 The Bible App is a great tool for always having a bible handy. They offer the bible is virtually every language, even with multiple translations. You can keep highlights and we even use it on Sundays with our messages. New Around Here? We’d love to meet you some sunday. We believe the bible is best read, interpreted, and applied in community with other followers of Jesus. This is one of the reasons that we have small groups here at New Life DBQ. We’d love to read and study the bible with you.